Arnott's spread Entertainers to 800,000 followers with influencers. 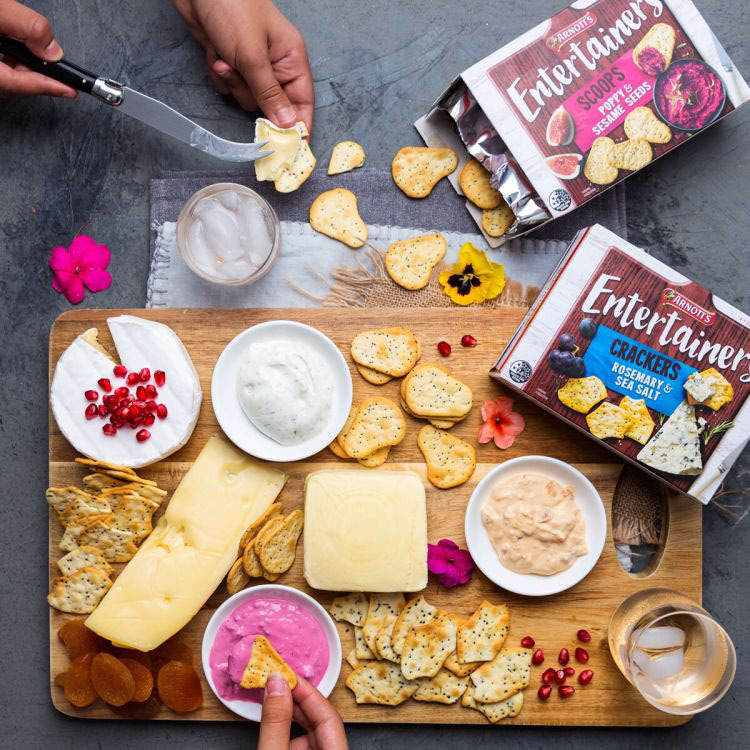 Submit posts serving Arnott's Entertainers crackers for occasions big and small! Created to accompany dips and cheeses, this range comes in Rosemary and Sea Salt, Crispy Oat with a Hint of Honey and Poppy and Sesame Seed Scoops. Submit posts with a cracker platter. chelloveswine Rosemary and sea salt is right up my alley!